When someone moves from one rental apartment to another, may they take mezuzot from their old apartment and use them for the new one? Let's assume that the next tenants in the old apartment and the previous tenants in new apartment are very likely not Jewish (so it cannot be expected that they will take proper care of the mezuzot that are left or that the new apartment will have mezuzot from the old tenants). When you leave an apartment, the expectation is that the landlord will be doing some level of renovations, painting, replacing carpets and the like. The crew that does the maintenance will most likely not care about your mezusas. Therefore, even if you know that a Jew is moving in after you, if the norm is for the apartment to be repaired/touched up between tenants, then you should take your mezuzos with you. As always, consult your personal Halachic authority. The main point is if the landlord or tenants will be Jewish and maintain the mezuzahs. In any case, you may change the (expensive) cases for cheap cases as the case is not the mezuzah but a way of keeping it safe or an adornment. There are many sources on the net and here is one of them. QUESTION: What if I am in the midst of moving and I temporarily own two homes. Which one requires mezuzahs? ANSWER: If you are actually living in both homes, or storing items in both homes, then you are obligated to have mezuzahs in both homes. QUESTION: Am I obligated to leave my mezuzahs up after moving? The new tenant is a non-Jew, A new tenant did not move in, and there is concern that were the mezuzahs to be left behind, in all probability they would become defaced. QUESTION: May I remove my mezuzahs if the new Jewish tenant has his own mezuzahs? ANSWER: It is preferred that the new tenant or owner should remove your mezuzahs, or he should at least instruct you to remove your mezuzahs. This halacha is a very serious matter and should not be treated lightly. Rather, an observant Rabbi should instruct you what to do. QUESTION: What if the new owner is Jewish and he wants my mezuzahs, am I obligated to leave all of my mezuzahs behind? ANSWER: Yes. 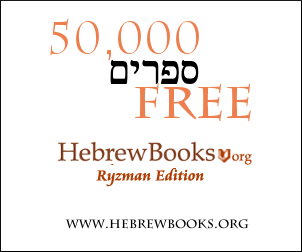 You may, however exchange the mezuzahs themselves for less expensive ones, providing that they are 100% kosher. The mezuzah cases may certainly be exchanged for the least expensive mezuzah covers. You may also demand the new owner or tenant to pay you for the mezuzahs. He will then be obligated to compensate for the mezuzahs at fair market value. If he refuses to pay for them, an observant Rabbi should be contacted. This Halacha is a very serious matter. Not the answer you're looking for? Browse other questions tagged halacha gentiles mezuzah .